Duel opponents to the very end in this addictive CCG experience. Win games to get your hands on rare cards that can turn the tide of battles in your favor. Build a custom deck of your own by putting together cards that fit your play-style the most. Hearthstone is a hugely popular CCG that’s caught onto the hearts of many around the world due to its highly strategic and addictive gameplay coupled with its immersive music and sound effects. It’s a phenomenal game and has definitely raised the bar for any future releases in the genre. Upon starting off in Hearthstone for the first time, you’ll be introduced to the game through a series of five tutorial duels. In each of these duels you’ll learn about the core principles of the game and will be taught some really helpful strategic methods that can allow you to get an upper hand on your opponent. These duels are pretty short and easy to win so they’ll be done within a matter of minutes but the thing worth noting is that they do an excellent job of explaining everything about the game ranging from its very basics to advanced strategy. 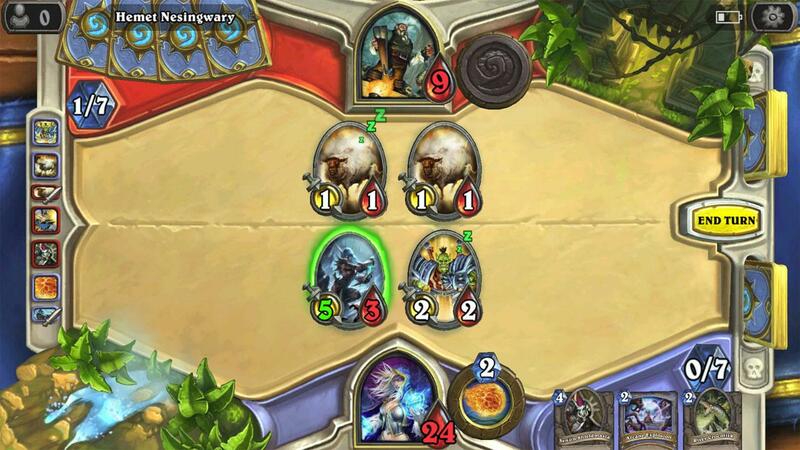 Hearthstone’s gameplay is an absolute delight because it seems to have done everything right. The duels have a low skill ceiling yet high skill floor which is basically perfect and allows both casual and competitive audience to enjoy the game at its very fullest. The objective of each duel is to reduce the HP of the opponent to zero but this is no easy task as you’ll have to battle through many different creatures, each with their own special abilities and effects that can swing the tide of battle heavily. A lot of the game’s strategy lies in its decision making aspect; you’ll encounter many tough decisions along the way such as whether you should attack your opponent to lower his/her health or attack his creature so that he can’t do damage to you. These kinds of decisions must be thought through as they play a major role in deciding how the game goes and you’ll be faced with many of them as you duel your way to the top. The variety of cards is just amazing. There are tons upon tons of creatures, warriors and spells that you can combine to create the perfect deck that represents your play-style the best. You can buy cards in the game or win them off your opponents by handing them crushing defeats. 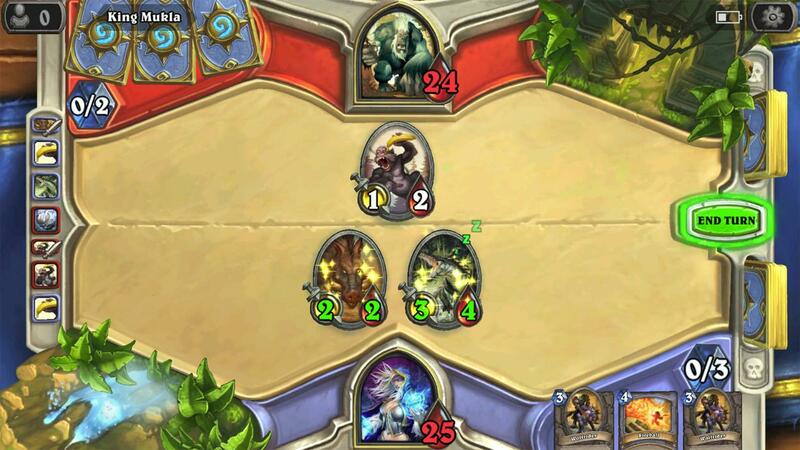 Gameplay isn’t its only strong suit as Hearthstone’s visuals are a sight to behold. The look of the game is minimalistic yet really elegant. There aren’t a lot of special effects and such that occur during battle but the ones that do occur are a delight to look at, card designs are really sharp as well. The game’s music and sound effects are also pretty much flawless and enhance the experience to a whole new level. As for micro-transactions, players will be able to get their hands on special in-game cards and decks by utilizing real world money. 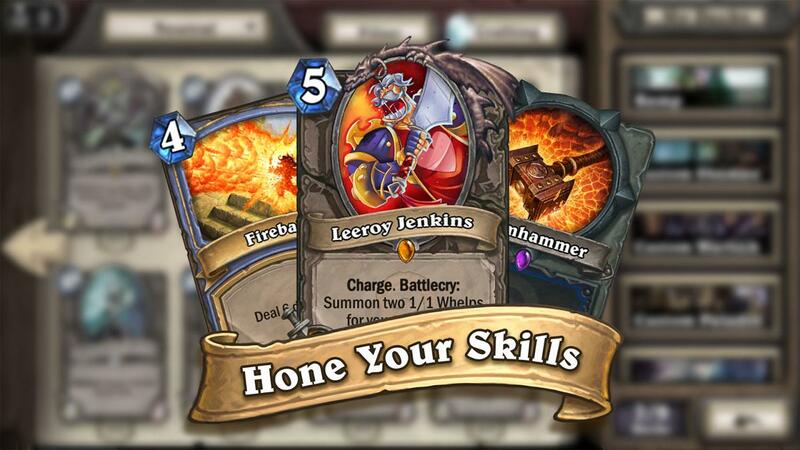 Hearthstone is a high quality CCG that has set the standard for similar games to come in the future.